The Seven Vanishing Points​​ has to do with perspective. 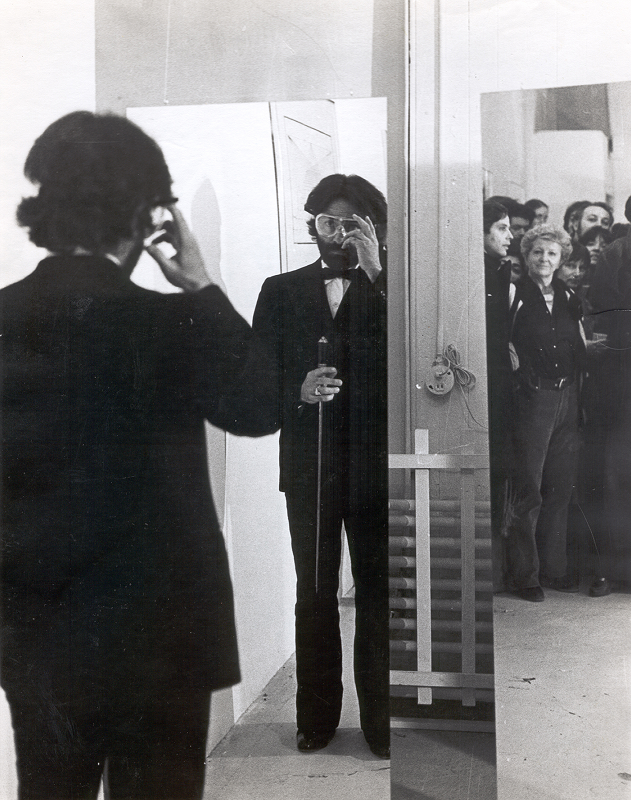 When Paolo Ucello said his memorable phrase “O che dolce cosa e questa prospettiva”, art, which until then was known in a flat space, becomes infinite and begins its great evolution. Reading this sentence, I felt a deep emotion and I promised myself that someday, I would do something with this concept. In 1979, being in New York City, I suffered a series of very deep confrontations with myself, a break, an awareness in relation to my previous works. It was a questioning, crude and without concessions of my work, my egos and my ghosts. This performance was practically the last one I did with the members of ​Foundation for the Totality​​ (which I founded and directed) and represents a crude and uncompromising questioning of my work, my egos and my ghosts. In this new version of 2018 for ​Pinta Miami Art Fair​​ undergoes changes that have to do with the use of new technologies and new materials; and it is also a way to exorcise old and new ghosts (they are stubborn and always appear …). We must be attentive, greet them with the new technological advances and let them continue on their way. – Three panels of mylar mirror (polyester) of 2m Height x 1.20m Wide. – A wall screen or a white wall where a video animation will be projected. – An animation with the images of ​The Seven Vanishing Points ​​that I used in the original exhibition. – A mini projector with flash drive connection. – A mirror stainless steel barrel that I’ll use to create sounds inspired by the images that are being projected in space. Special participation of the jazz Master Junior Romero​​ (he will bring his sound equipment). At the end of the projection, I stop and break the three panels from which I create a direct confrontation with my egos. This performance last from 25 to 30 minutes.